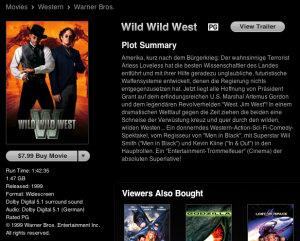 Browsing the Australian iTunes store I came across Wild Wild West. But that Plot Summary is not in English. It appears that Apple has confused us with Austria (perhaps). Unfortunately my German isn’t good enough to read the summary or listen to the Trailer. Although it is funny to watch Will Smith and Kevin Klien dubbed into German. Reading the reviews, it appears that it was the correct language in January, although all reviews from July warn of the language error. So something to avoid. 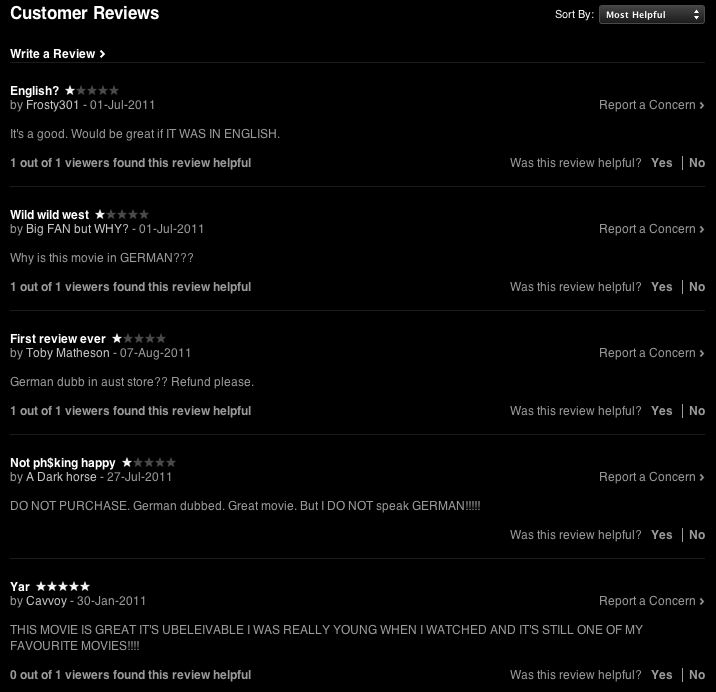 I wonder if having the wrong version of the movie available in iTunes Store causes licensing issues? This entry was posted in Mac, Movies and tagged iTunes store, movie. Bookmark the permalink. 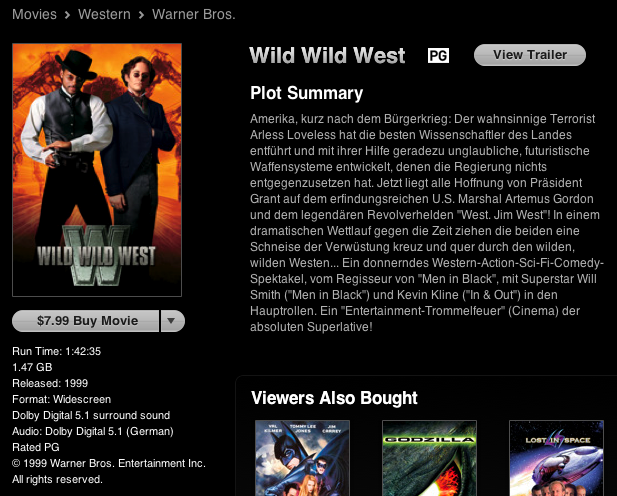 2 Responses to iTunes Wild Wild West in German? This is Australia not Austria! Any ideas on how to get the english version as i have made the silly mistake of purchasing the german version and itunes dont want to know about it! 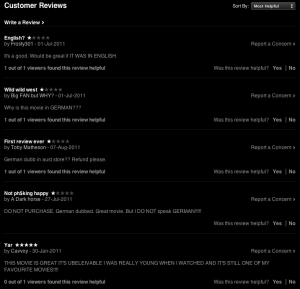 I’m sorry, I have no idea how to get the English language version from the Australian iTunes store. I don’t think it is there. Have to get an account on the USA iTunes store, or pop down to the local video store I suppose.